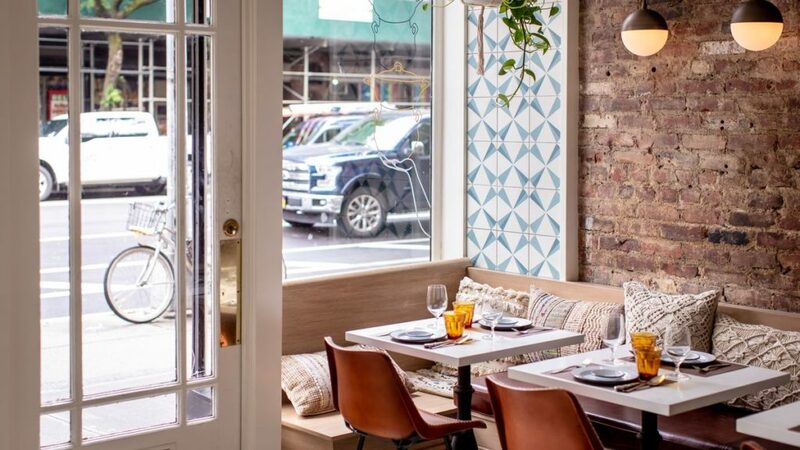 There are thousands of restaurants in NYC, with so many choices it can be hard to narrow them down. I’m here to help! 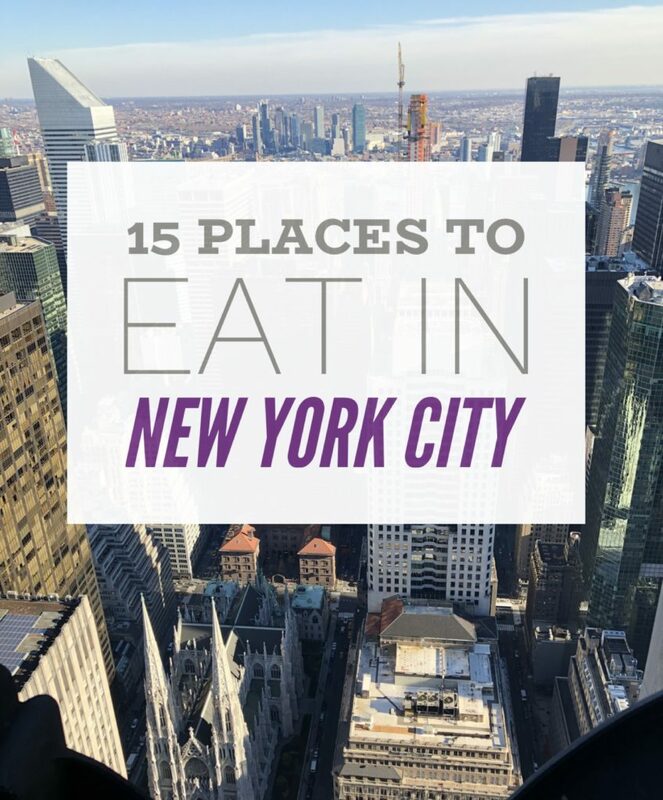 In no particular order, here are 15 places to eat in New York City that you should try at least once that won’t break the bank. 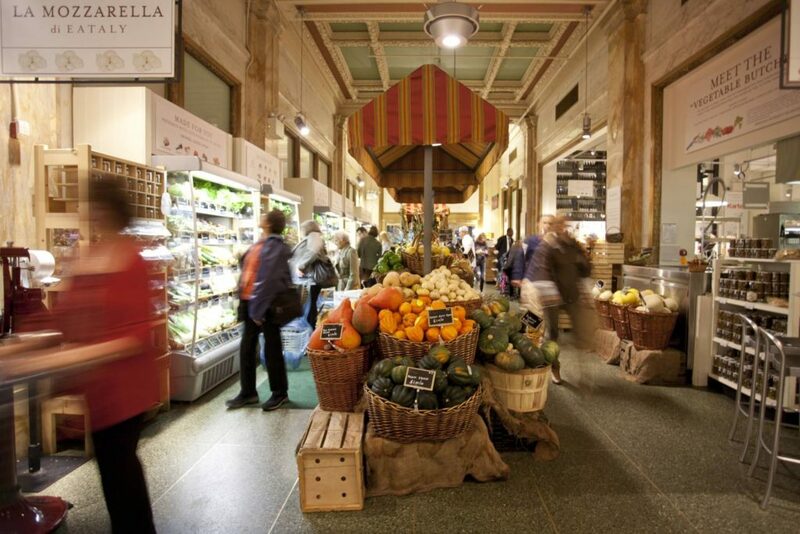 When top chefs collaborate, you’re left with the worlds largest artisanal Italian market place. Plenty of choices for anyone in your party. 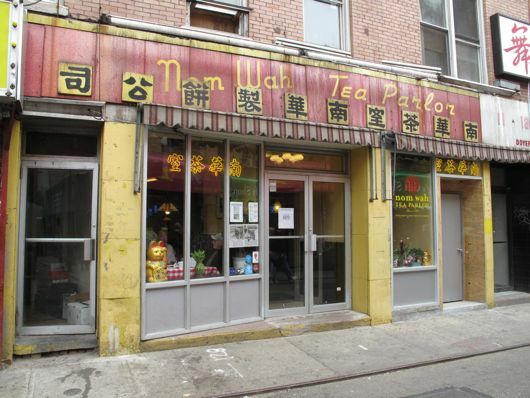 This vintage dim sum parlor opened in 1920 and is still offering up great food you can share amongst friends and family. Joe’s Pizza has created quite the following over the 40+ years being open. 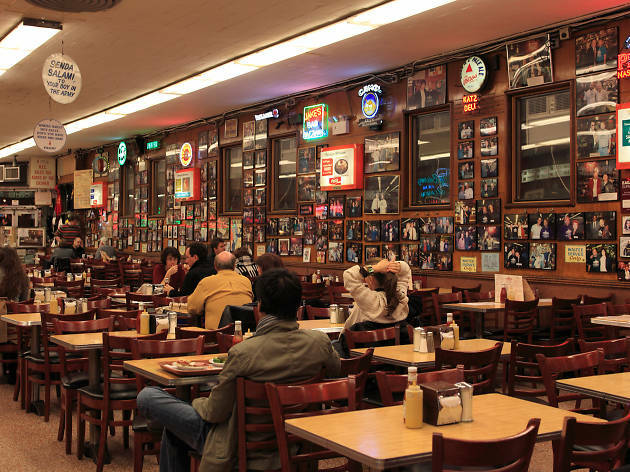 Celebrities, locals and tourist all agree, it’s a great slice of pie. You could eat here all day with the how many food vendors there are. 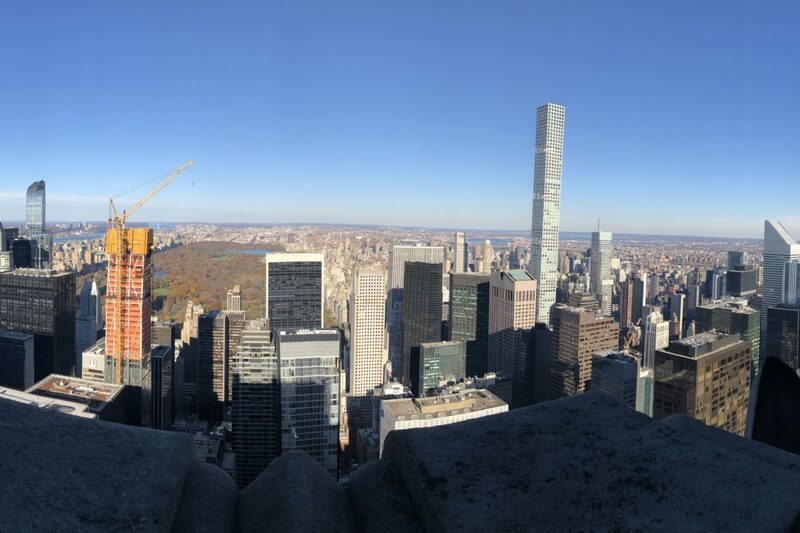 You may even run into some important people who occupy the upper floors of the building like Google, Food Network or the Major League Baseball. Known for their pastrami sandwiches = bring on the meat sweats. 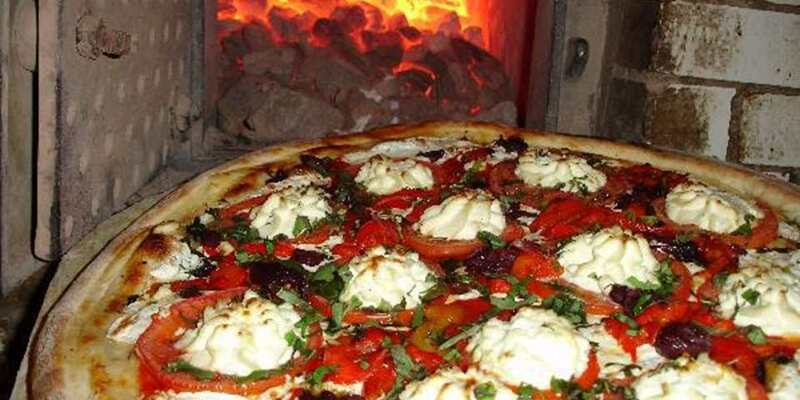 NYC is known for their pizza, and John’s of Bleecker St. helped make that true. Their moto; “The world has changed, but we haven’t. 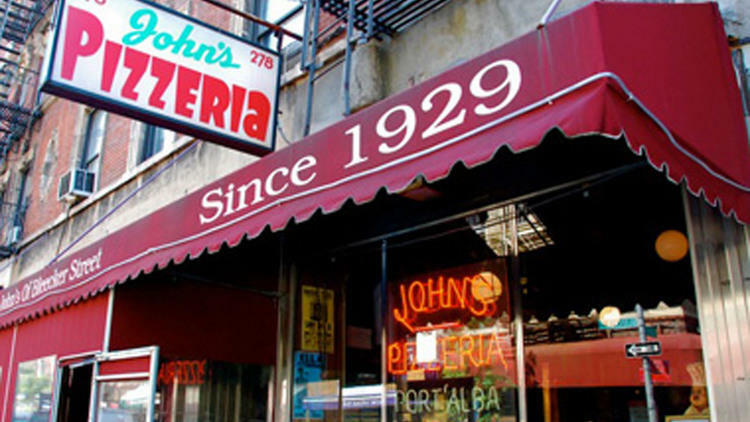 We are still The “Original” John’s Pizzeria on Bleecker St.”. These aren’t you traditional “dirty water dogs” you can get on the side of the road. 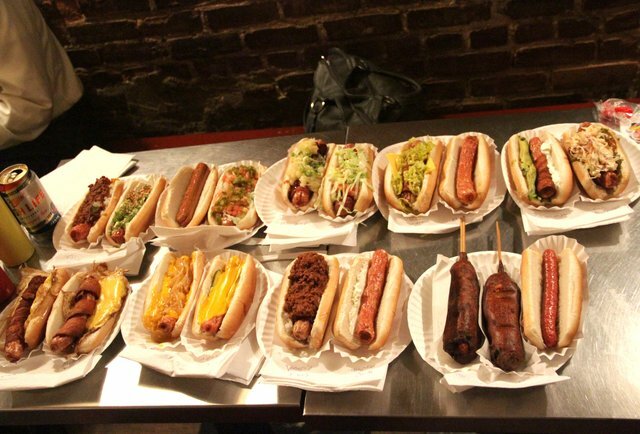 They actually make me want to eat hot dogs and they have veggie options too. Since opening in Madison Square Park back in 2001, Shake Shack has been serving great burgers, fries and shakes to the masses. The first of the Momofuku restaurants. 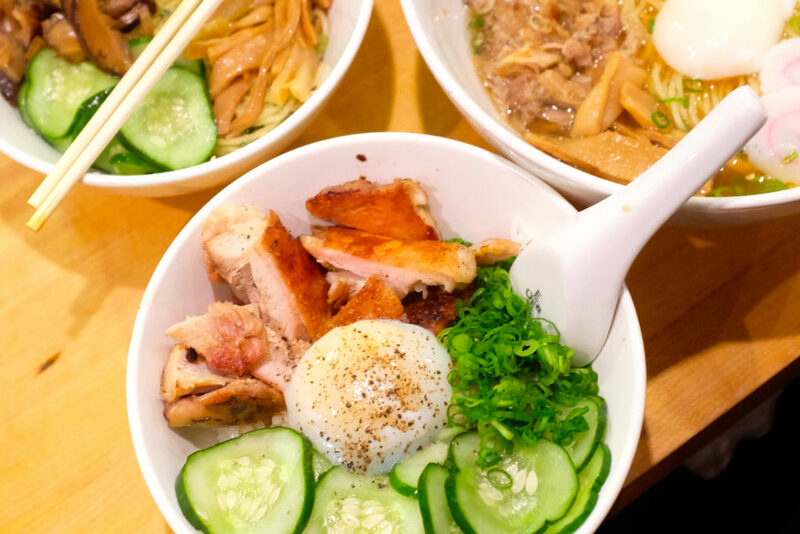 This spot is serving up some amazing ramen and pork buns. You’ll catch owner, David Chang on “Ugly Delicious” during your next Netflix binge. Breakfast! Get your day started with some blueberry pancakes or whatever you fancy. 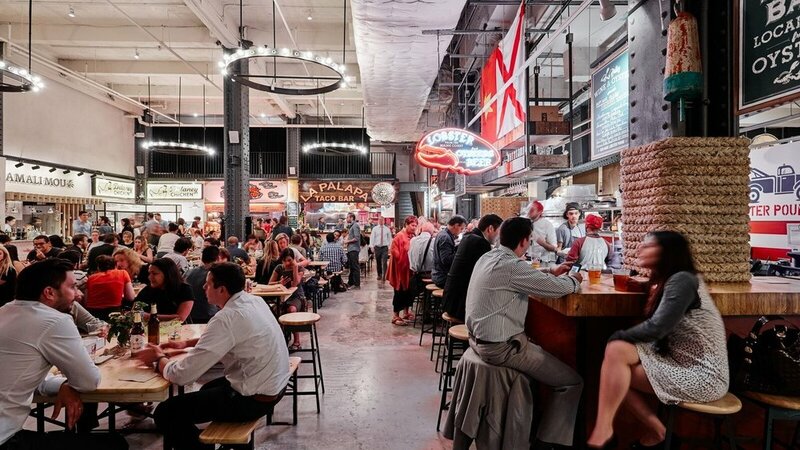 Dive into the market place with over 20 eateries. Don’t worry, you’ll walk it all off. Opening in 1905, this is the United States first pizzeria. Lombardi was also a teacher of sorts, inspiring some of his employees to open up their own famous pizzeria’s. We, along with the Ninja Turtles, and so much of pop culture owe it to this legend. 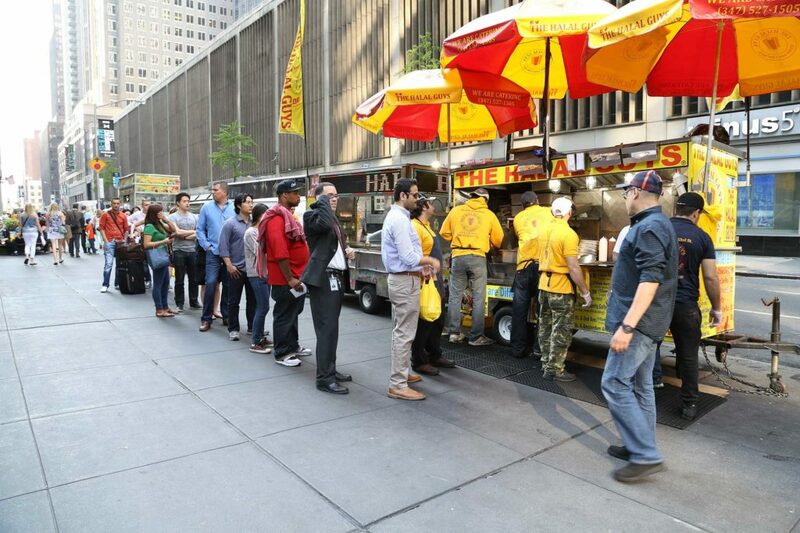 Starting as a cart in NYC, they quickly gained traction with their decadent meats, falafels and hummus. 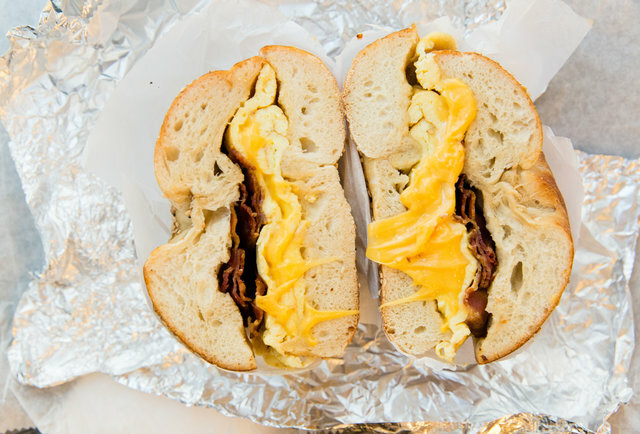 You can’t go to NY and not have a bagel, it’s a rite of passage. I mean it says it in the name! 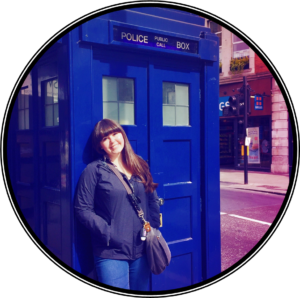 Don’t you trust everything you read on the internet? Bask in all the cous cous glory that Chef Einat has cooked up. Recently new to the neighborhood this spot is bound to get big. Are you hungry yet? 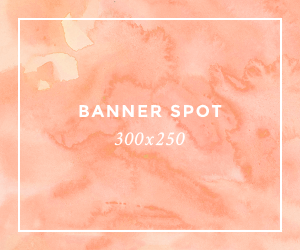 Leave comments below of your favorite NYC places to eat and let’s go find our next food coma.